This isn't the first time I have featured a lampshade from Light Flight Lighting. And there's a reason for that. Click through for one of the most beautiful collection of illustrated lampshades from cool to classic. 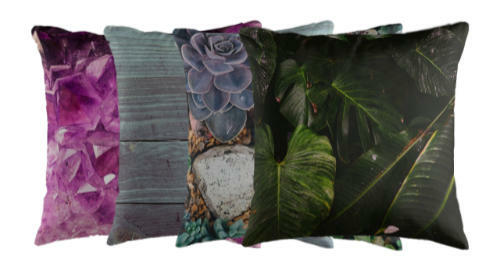 Sure to harmonise with your decor or just make a statement. I am always impressed with Anne's selection, and her customers give great ratings for service, too! 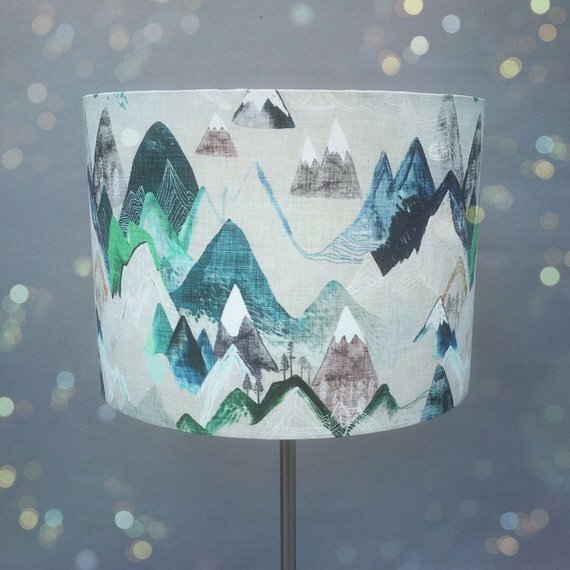 Buy the Mountain terrain lampshade now on Etsy. 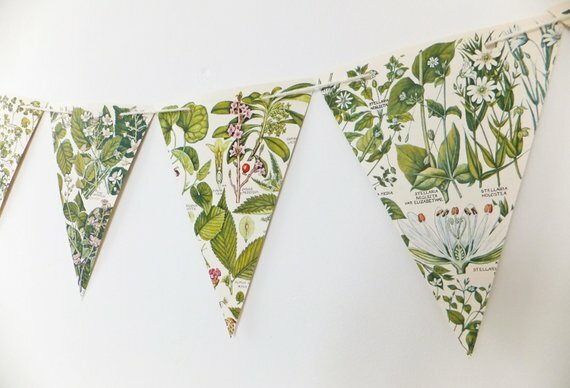 Vintage style botanical illustrations are repurposed into beautiful bunting here. Perfect for a greenhouse or conservatory, but also great anywhere in your house that needs a touch of lively green. Buy the Upcycled botanical bunting now on Etsy. This is a wonderful piece of art. Check out Glenouther Crafts for more wildlife and beautiful wood art with a wilderness feel! 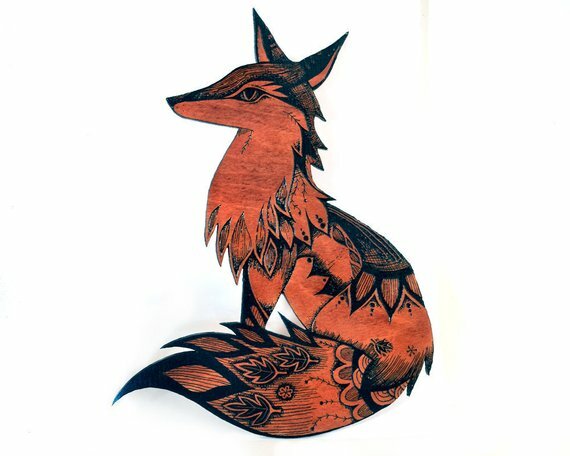 Buy the Wood fox wall hanging art now on Etsy. Enamel mugs are coming back. Long beloved of campers, they're catching on in the home too. They're easy to throw in the back of the car and take to the beach or festival. 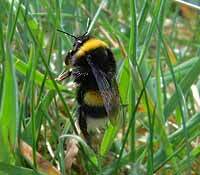 This one will also look good on your sideboard! 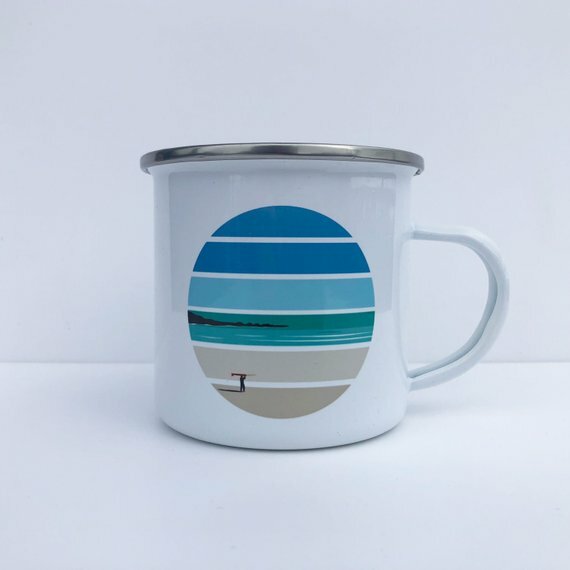 Buy the Tiree Longboarder Enamel Mug now on Etsy. 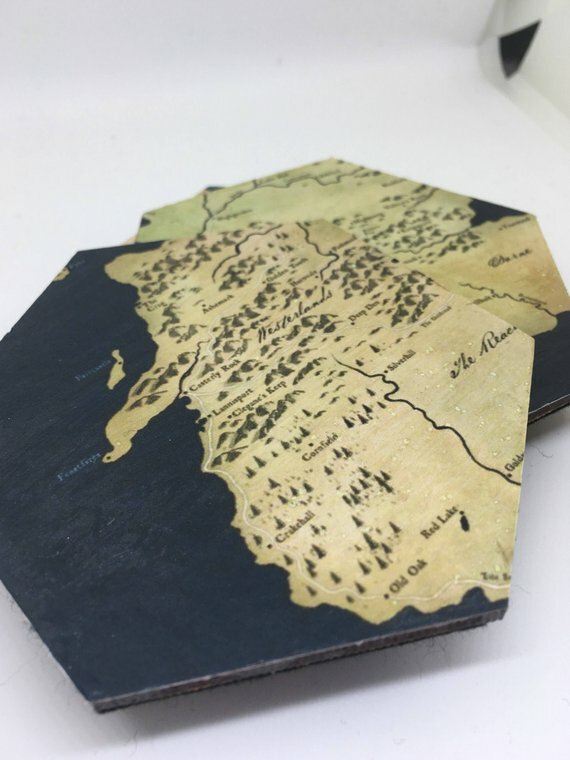 For the geeks and cartophiles (map lovers) amongst us, Juniper Daze Designs have Lord of the Rings, Harry Potter and even real world map coasters that make an ideal gift or an interesting accent. Buy the Game of Thrones coasters now on Etsy. 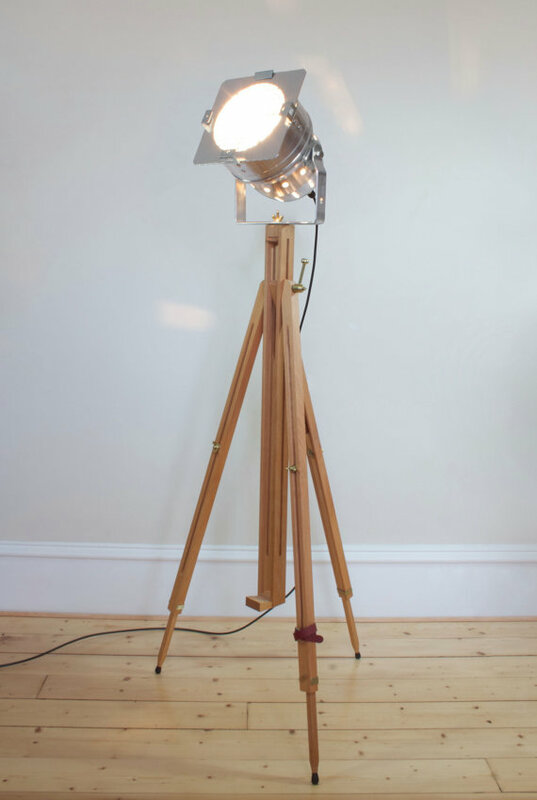 Light up your living room with this easel-style tripod theatre spotlight. An architectural piece to brighten dark corners where traditional lighting doesn't reach. An impactful statement in its own right! Buy the Theatre Spot light now on Etsy. Hopefully, you're inspired to make the most of what we have left of summer. Making a cheery den before winter returns is a great way to keep those blues at bay. Anyway, let me know what you think about my picks in the comments!